So I’m sitting here watching the Rose Bowl….Ohio State Vs Washington. 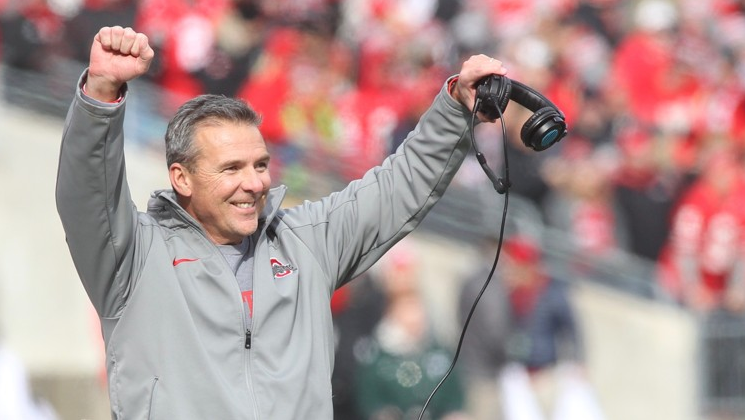 Its Urban Meyer’s last game as Head Coach of the Buckeyes. Love him or hate him he’s made a big impact in this sport and is probably up there in any conversation when you talk about the greatest coaches of the modern era. Now before you howl, yes the legacy has been tarnished a bit by the Zach Smith incident which was not dealt with well at all. However, that aside his impact on this sport has been massive and the programs he has built have been great ones. His impact on young coaches and the coaching community has been a positive one and his ideas have resonated with a lot of coaches including me, both his schemes on the field and the cultures of his teams. 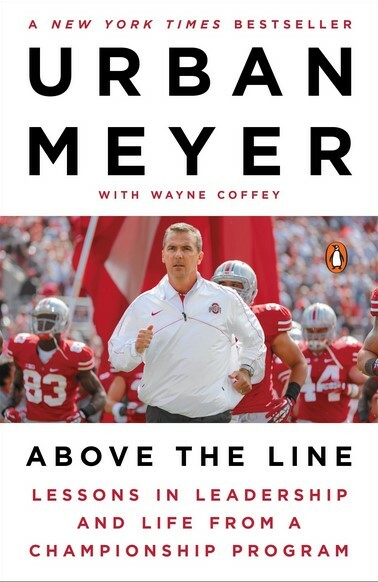 I have read Above the Line his book about building successful team cultures that is permeated with illustrative stories from his national championship winning season for the buckeyes and have used his ideas when trying to rebuild my own program down in Bournemouth. Before I begin to talk about the ideas from the book and his approach to offensive schemes lets talk a bit about his resume and the teams he has built. In 2001 he took his first head coaching job at Bowling Green and engineered what is recognised as one of the greatest turnarounds in NCAA history leading a team that was 2-9 to a 8-3 record his first year and a 9 – 3 the next. He only lasted two seasons in Bowling green before being head headed for the HC job at the university of Utah in 2003. At Bowling Green and Utah he created a one back shotgun spread scheme with bits of option football sprinkled in and with it took Utah to its first ever bowl game. In 2005 he left to become head coach of Florida and won two national championships with them in 2006 and 2008 and since he left they haven’t been the same since. 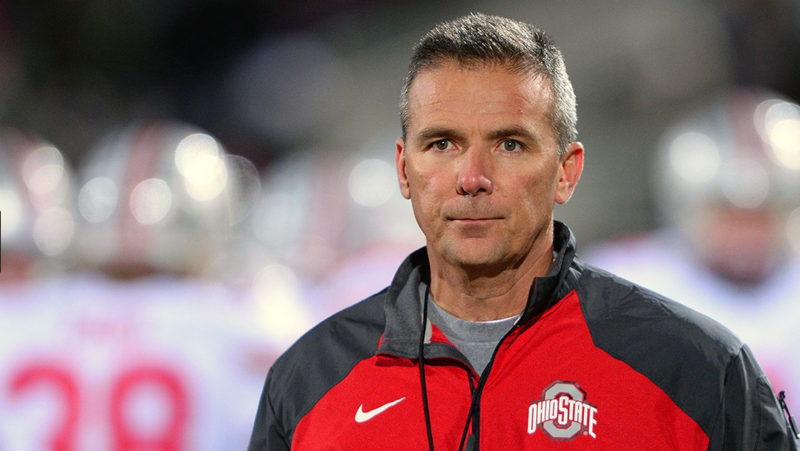 In 2012 he took the HC job at Ohio state and won the first national championship of the playoff era in 2014. In wins and championships there is no denying the facts he is one of the most successful coaches of the modern era and has been so at multiple programs. On the field his approach to offensive schemes is a small shopping list. He wanted to be shotgun focused, to spread the field, to throw the ball effectively and to run the ball with option or quarterback read plays. So he chose schemes to cover all these bases and was able to do that without running a huge playbook. Indeed when you look at the offence that he and Dan Mullen put together in Florida you can spot the Inside and Outside Zone, zone reads, the trap, the counter and the QB power with some jets sweeps added in. This is pretty simplistic and can be replicated easily. His passing game was based around one simple theory if the defence is operating with two deep safeties so long as the offence forces the defence to cover every receiver then the offence has a numbers advantage up front to run the ball. If the defence plays with a single high safety then the offence should be able to pass as it should mean that the receivers are all in one on one coverage. And with the defence playing no high safety they could expect blitz and weren’t afraid to go long for the explosive play. None of his offences were new. Many of the ideas and concepts had been around for 50 years so they weren’t particularly innovative but it was something better than that ..it was extremely good. Off the field in program building is where his talents really shine through. His ability to change a culture in a short space of time and get the best out of his players on game day was almost without equal. Indeed the only other coaches you would put in the same league in this regard would be perhaps Nick Saban and Bear Bryant. ‘Above the line’ is his book on building successful team cultures and is the tool through which probably the greatest part of his coaching legacy has been achieved. There are a number of approaches and ideas in it that are universal to the success of any sports program and I recommend reading it cover to cover. I’m going to discuss chapter three only with you though for reasons of brevity. In the chapter he discusses how to going about creating and building a successful team culture. He defines a culture as what we believe, how we behave and the experience that our behaviour produces for each other. His point being that that people experience culture through behaviour. So while strategy determines scheme and technique, culture determines attitude and effort. So a great culture can make even a mediocre strategy successful through attitude and effort but a poor culture will undermine even the best strategy. He describes building a culture as a three part process. 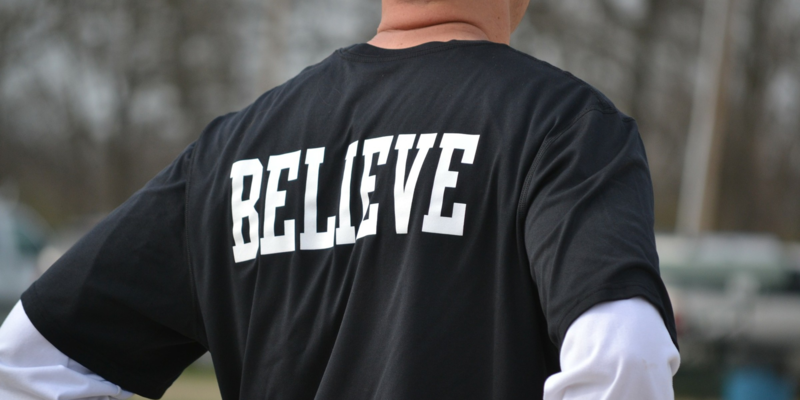 First you have to identify your core beliefs and the core beliefs of your program. Ask what behaviours are essential to the success of your strategy and what beliefs are essential to drive those behaviours. When you have decided on that ask yourself if these beliefs are the same as your own because if not and you behave different to these beliefs then no one else will believe in them or you for selling it. Second you have to sell it. You have to communicate it clearly to your players and coaches. It’s not up for debate. This is you the leader standing up and building the foundation necessary as you see it for the success of that team. Be clear, leave no room for confusion or uncertainty. Explain that it’s what we believe and it’s who we are. A cultural blueprint is a good way of doing this. A cultural blueprint has three columns. One for your core beliefs entitled what we believe the next is how we behave and the final one is for the outcome we achieve. 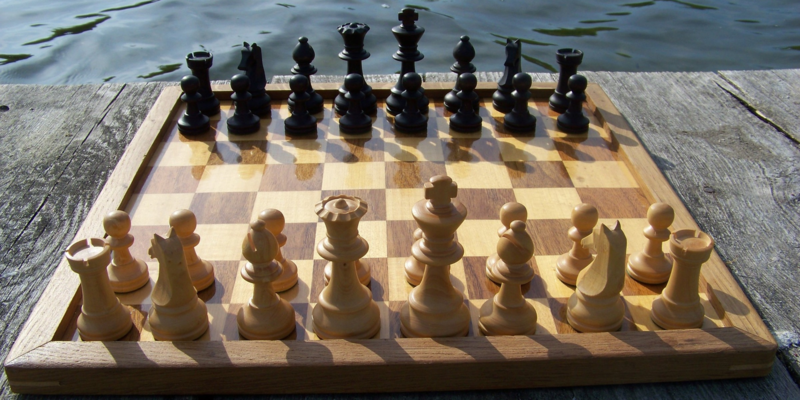 Keep to between three and five core beliefs so as not to dilute your message or overcomplicate it. Then elaborate by defining the behaviour you expect someone exhibiting that core belief to be and then describe the outcome that will be achieved by that. So for example one of Ohio State’s core beliefs is relentless effort how we behave is by going as hard as you can for four to six seconds from A to B and the outcome achieved is that you are tougher than any situation or opponent you face. Finally when you have determined your culture and communicated it it’s essential that you hold everyone accountable to it. The culture is the only acceptable standard of behaviour because whatever behaviour you tolerate becomes the behaviour you promote. It is essential you challenge behaviour that is against your culture but it is also essential to reward and recognise behaviour that is in line with it. Make your cultural standards clear, hold people accountable to them and the results will follow. You don’t get the culture you want, you get the culture you build. 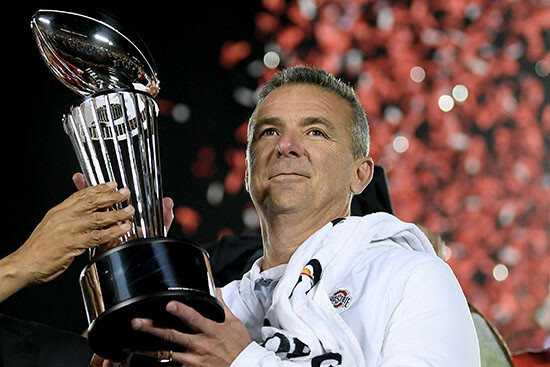 Urban Meyer will progress on to being an assistant athletic director after this season and may never coach again and even if he doesn’t he has already left an indelible mark on football. Through his ideas on and off the field, his book and the coaches he has mentored that are now head coaches at power five programs he has changed and is continuing to change football for the better.